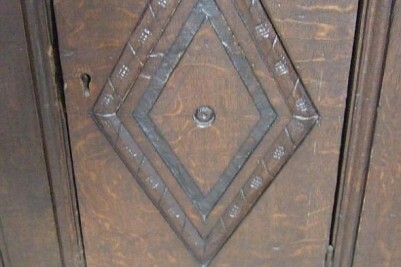 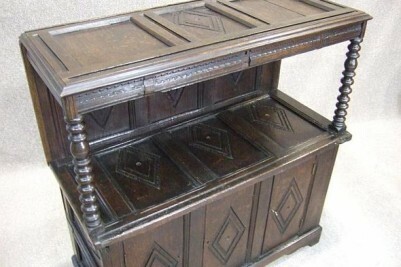 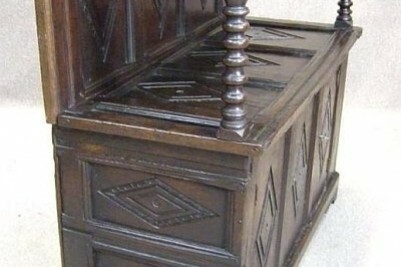 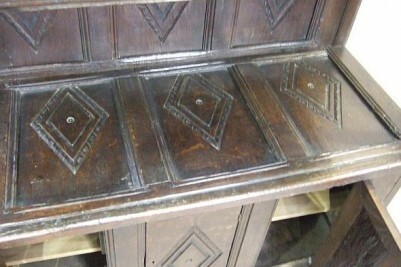 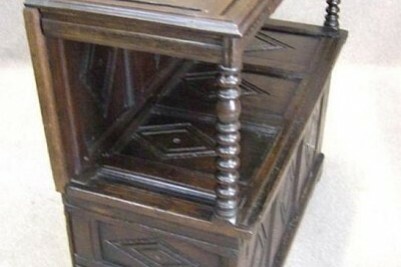 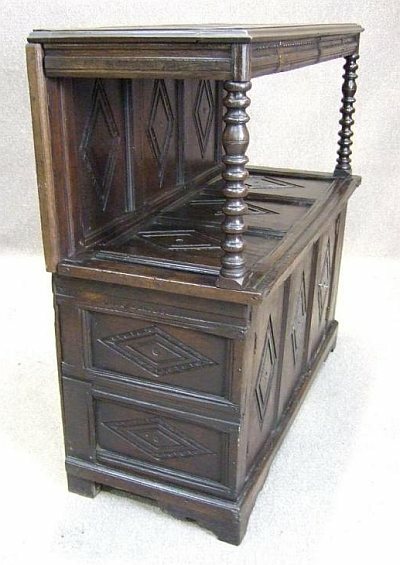 An extremely decorative, 18th Century and later piece of furniture. 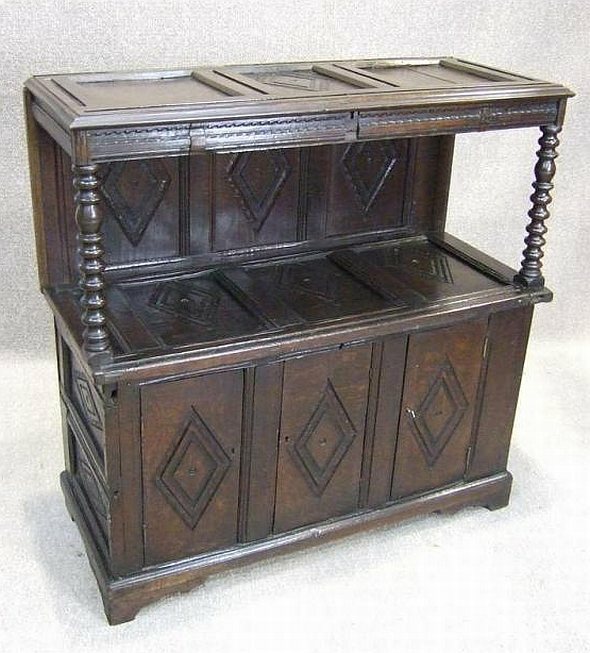 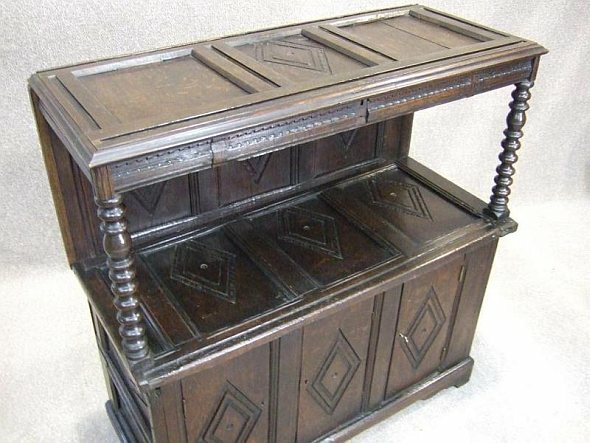 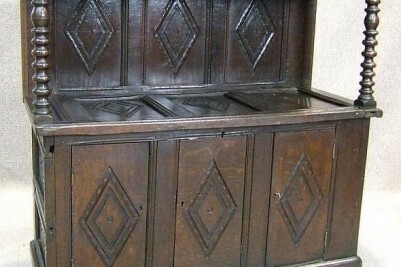 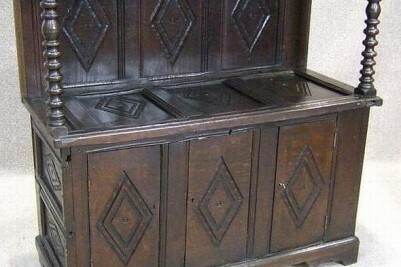 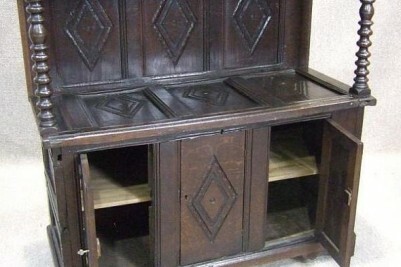 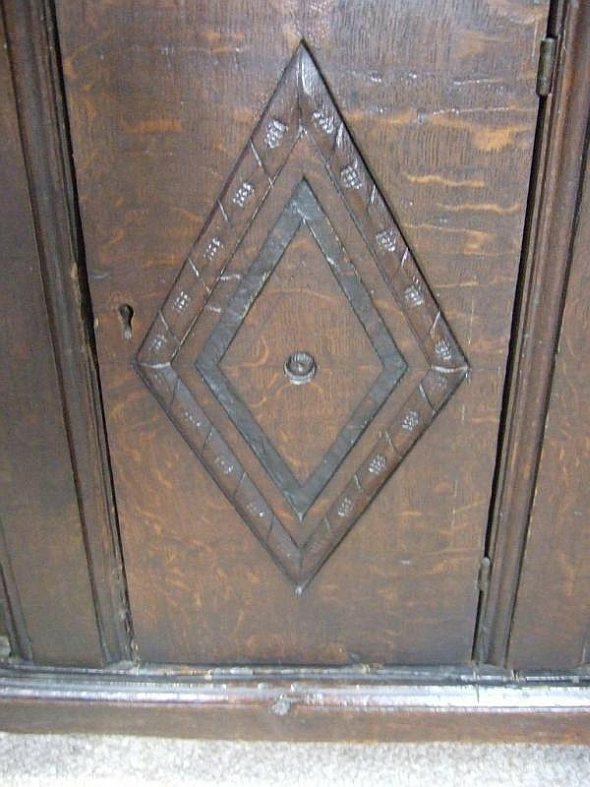 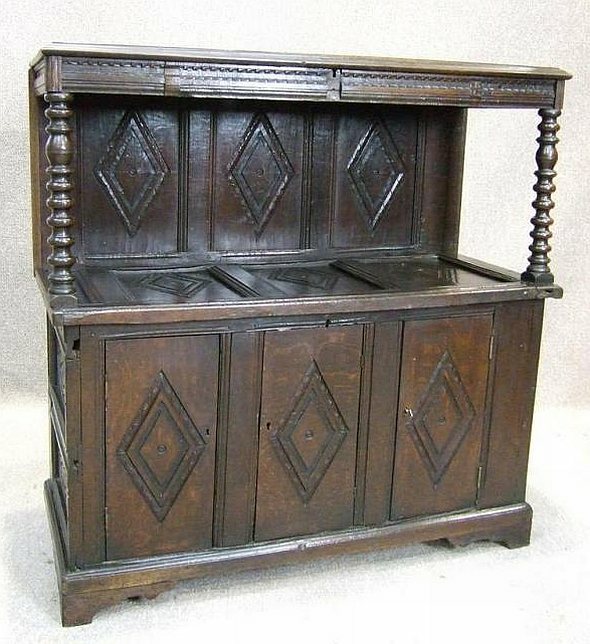 This carved oak cupboard would have originally been an Oak coffer, but during its lifetime it has been altered using various parts of early period Oak furniture. 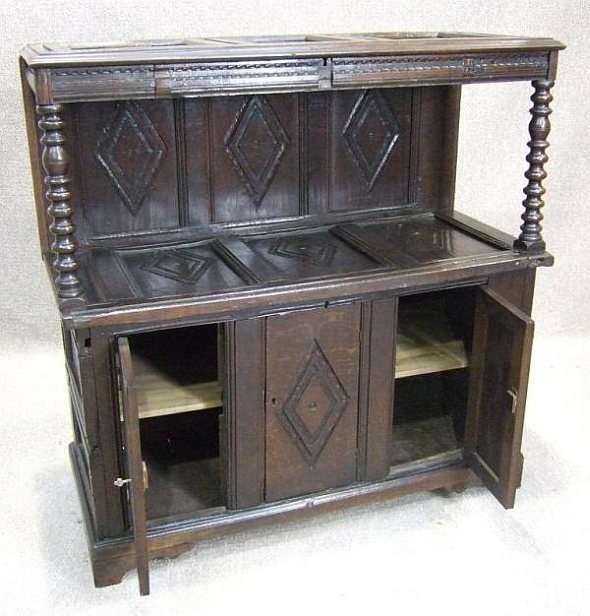 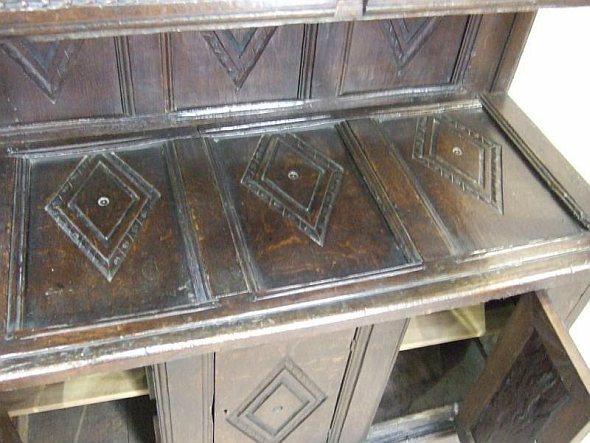 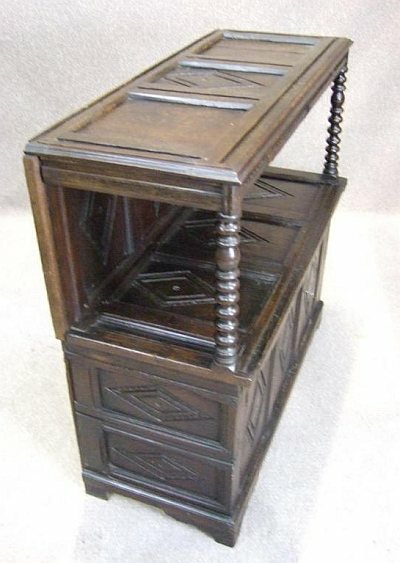 This piece has a deep original patina, and would be ideal for storage in any period property as it has two small cupboard doors to base section. 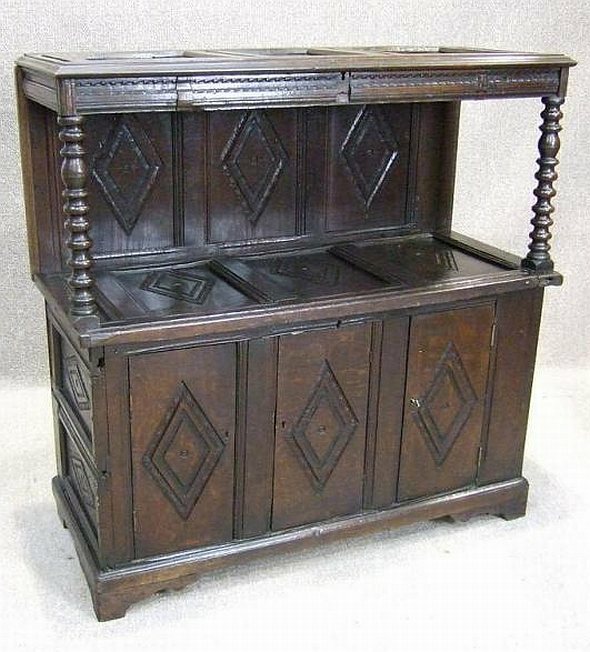 With its colour and carving, this piece would complement any period home interior. 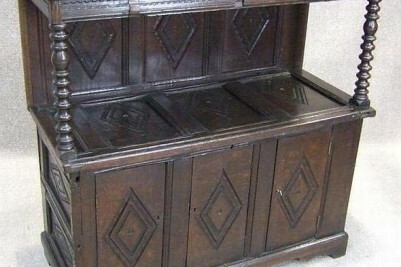 It is in good condition for its age, circa 18th century and later.